The first day of big kid school is filled with new things. New books to read, new teachers to meet, new friends to hang out with, and new things to learn, but even though starting school is tons of fun, it can also be a little intimidating. This charming story helps young readers deal with their emotions about starting school, and helps them become excited to learn. Beautiful, expressive illustrations help readers relate to the emotions of the story. 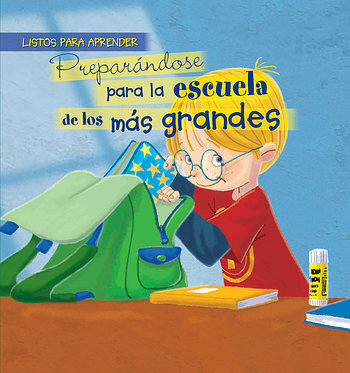 This gentle, encouraging story is perfect for preparing young readers for school.